Our re-homing policies have been set, with the benefit of years of experience, to maximise the chances of the animals staying with their new owners for life. Some of our rescues have been ill-treated and their lives are just beginning, others are sad to be apart from their owners and are broken hearted. They all need the security of loving homes where they can rebuild their lives and find happiness once more. The whole family needs to come in and visit the animals at the Sanctuary, please discuss any animal that you are interested in with a member of staff – it is very important to match the prospective owner to the right cat or dog to prevent the animal being unnecessarily returned. You will need to complete a ‘prospective adopter form’ with a member of our reception team. Once you and the Sanctuary have chosen a suitable animal a home check will be carried out. Subject to all the above being successful, you will be able to adopt the animal (usually within 48-72 hours after the home check). When you decide to adopt an animal from Holly Hedge Animal Sanctuary we ask you to pay a minimum adoption Fee. This helps us to ensure all of our animals are micro-chipped, vaccinated and neutered – although we rarely come close to meeting the amounts that have been incurred to us whilst they are in our care, the fee is the minimum we require to help cover our costs, but we would always be so grateful for any donation over and above the fee, that could help towards our ever increasing overheads, the bonus is that this added extra can also include gift aid making your donation go even further! *Please note that where an animal has not been neutered this will need to be arranged at a later stage; when the animal is old enough. It forms part of our adoption agreement that you do so – failure to comply may result in your animal returning to the Sanctuary. It is vital that animals are neutered at the appropriate age to help stop the cycle of unwanted kittens & puppies. The well-being of all the animals in our care is one of our top priorities. Some of our animals need that little bit of extra love, care and attention that an home environment can provide, these include our very young, old and sick animals. If you would like to offer a foster home for our animals please see the Contact Us page to find out more. Small animals are available to adopt either on a home from home basis or occasionally they will be kept at the sanctuary. To meet any of our small animals, an appointment will need to be made through reception once an application form has been completed. Small animals have very special requirements, they will need regular medical check ups with your vet, plenty of enrichment and suitable housing. 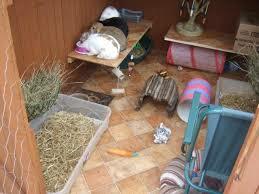 Sadly many pet shops still sell unsuitable accommodation which doesn’t provide for their needs at all. 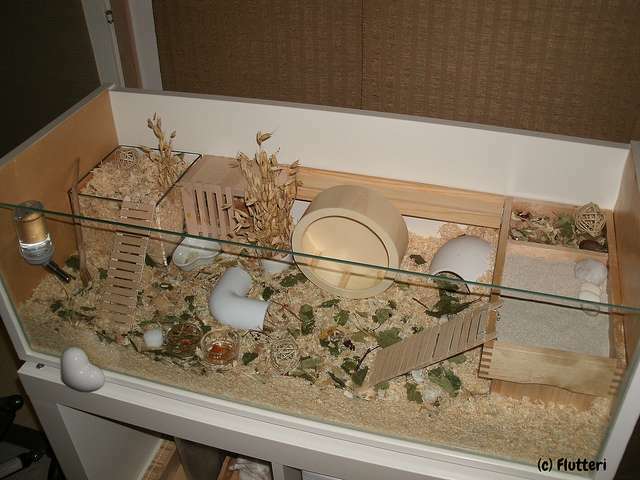 Some of the best accommodation can often be hand made, by converting sheds and playhouses etc for rabbits with access to an outside run and vivariums or bookcases used to create fantastic hamster homes. 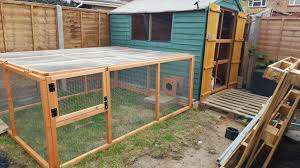 Cages with levels are not always best, although any cage should ideally be at least 2ft x 2ft in length. A long space where hamsters can run is usually far more fun than lots of tubes. Take a look at some of the images below to see what amazing spaces can be created. 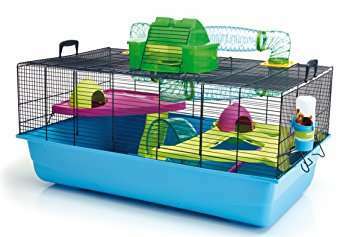 Tunnels, Platforms, Slides, Housing, Exercise Wheel, Toilet, Food Bowls and Drinking Bottle. We require potential new owners to send in pictures of their accommodation set up ready. These pictures can be sent to info@hollyhedge.org.uk. We may also require to arrange a home visit before they can go to their new homes along with a vet reference for previous pets.